After working hard to make our dynamics carts very low friction, we’ve added some friction back. Now you and your students can study friction in a controlled way. 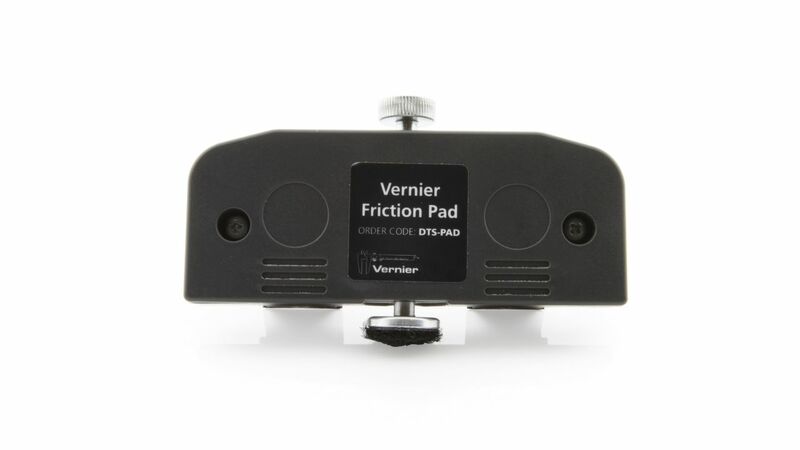 Add a Friction Pad DTS to your Vernier Standard Cart, Plunger Cart, or Motion Encoder Cart, and watch the carts move under very consistent friction force. Setting the friction amount is as simple as turning a knob. Friction Pad DTS is not compatible with older metal dynamics carts. Weiterführende Links zu "Friction Pad DTS"
Weitere Info "Friction Pad DTS"
Kundenbewertungen für "Friction Pad DTS"